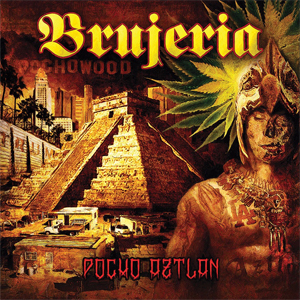 Extreme metallers BRUJERIA will release their fourth full length album, entitled Pocho Aztlan, on Mexican Independence Day (September 16) via Nuclear Blast Entertainment. Today, the band has debuted a very "N.S.F.W." video for the track "Plata O Plomo", and you can watch it now on KNAC.COM right HERE. The term "Plata O Plomo" was popularized by Mexican and South American drug cartel leaders such as Pablo Escobar and translates into "silver or lead?". Meaning, "take the money (bribe) or take a bullet". Pocho Aztlan is now available for pre-order in various formats and bundles from the Nuclear Blast web shop. Fans can also pre-order the album digitally via iTunes, Amazon and Google Play and receive the song "No Aceptan Imitaciones", "Bruja-" and "Plata O Plomo" instantly.